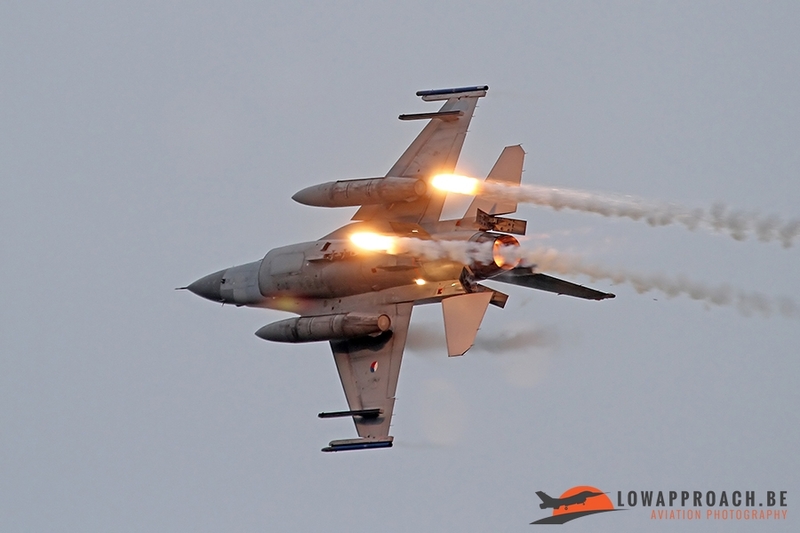 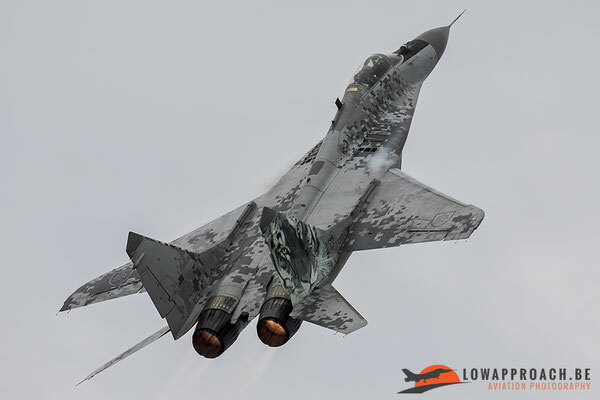 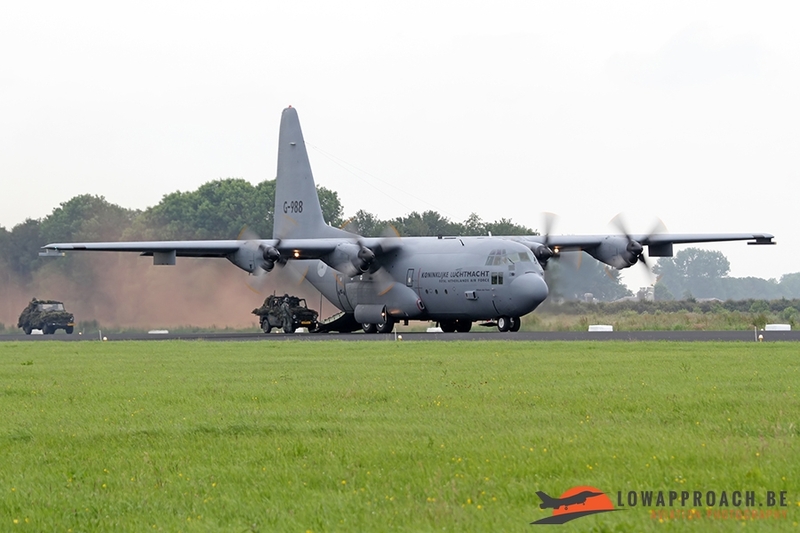 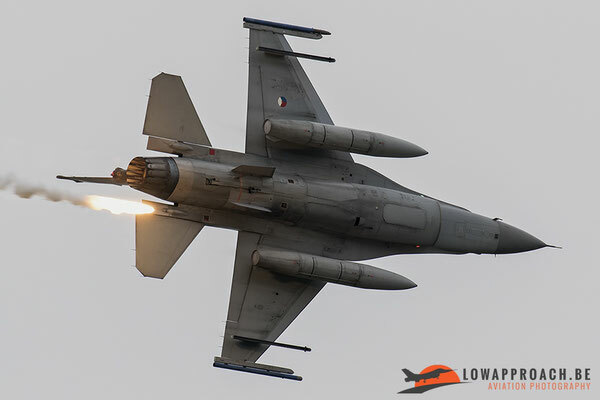 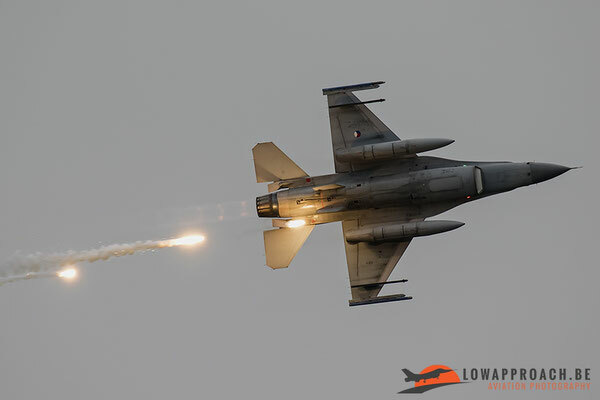 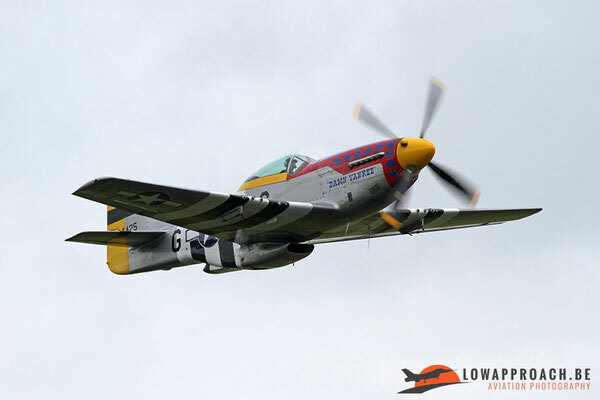 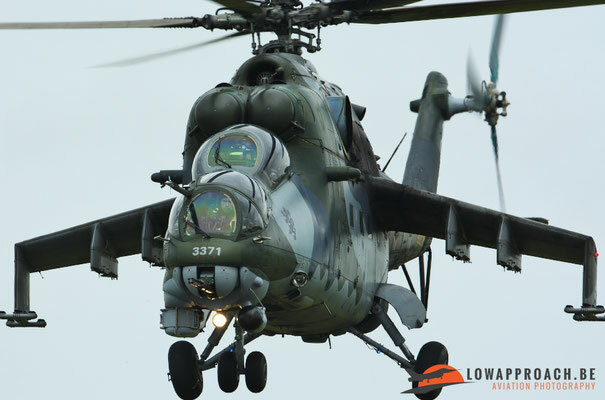 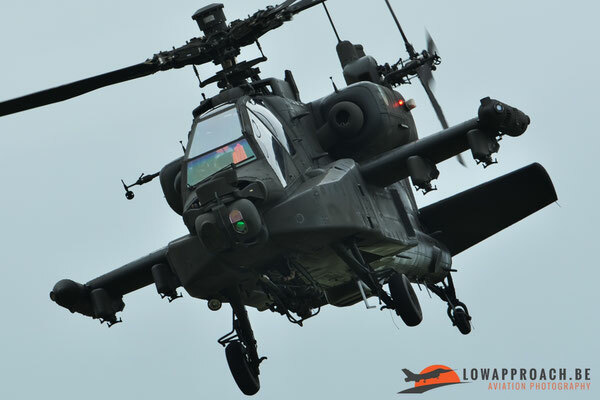 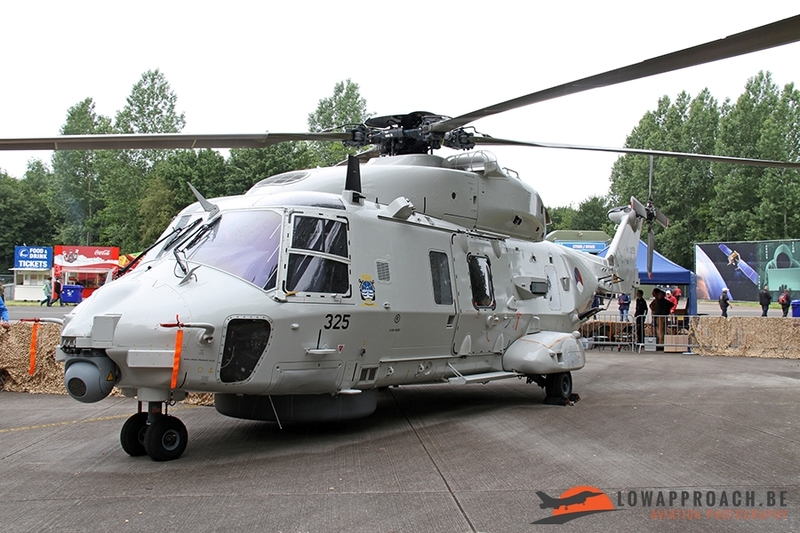 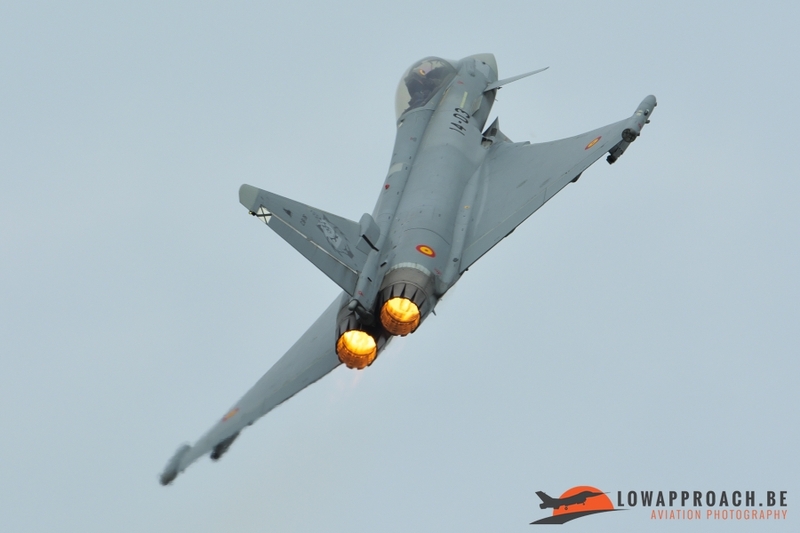 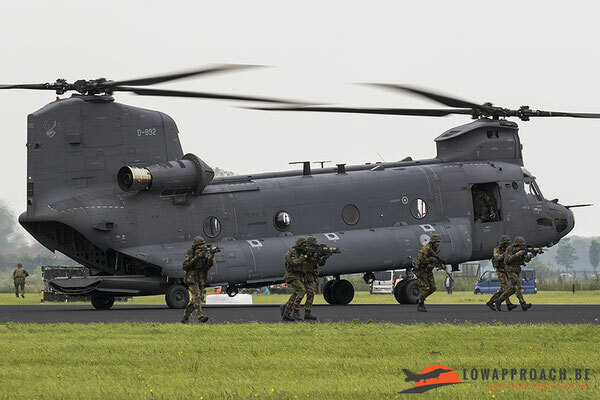 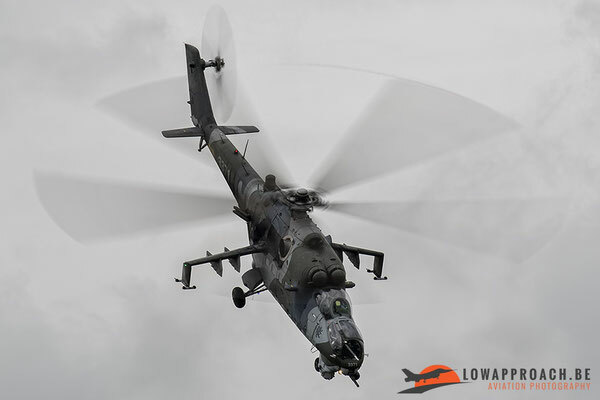 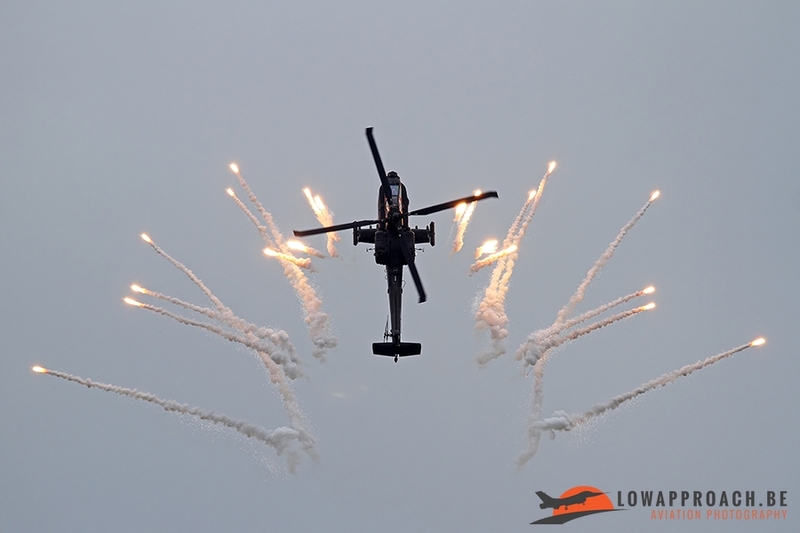 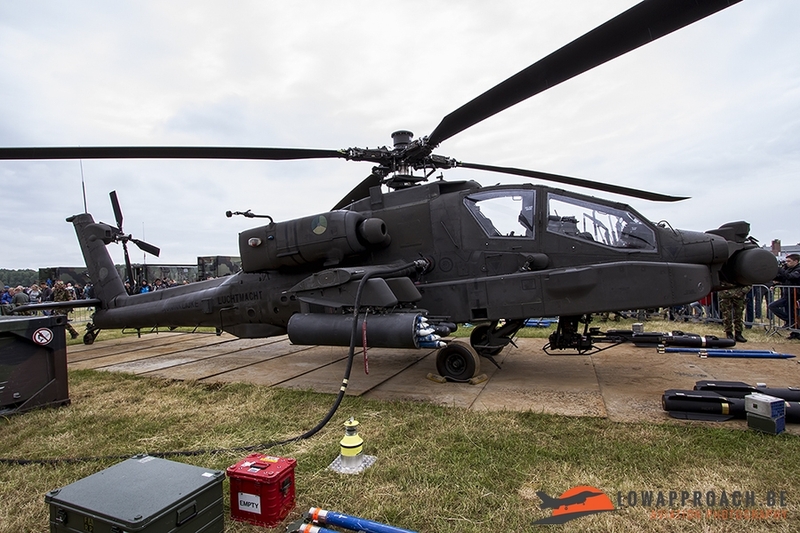 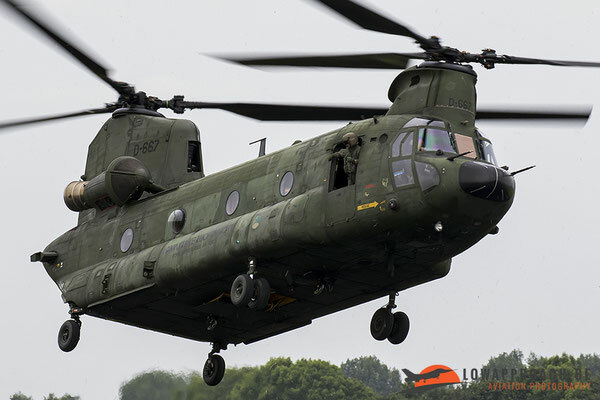 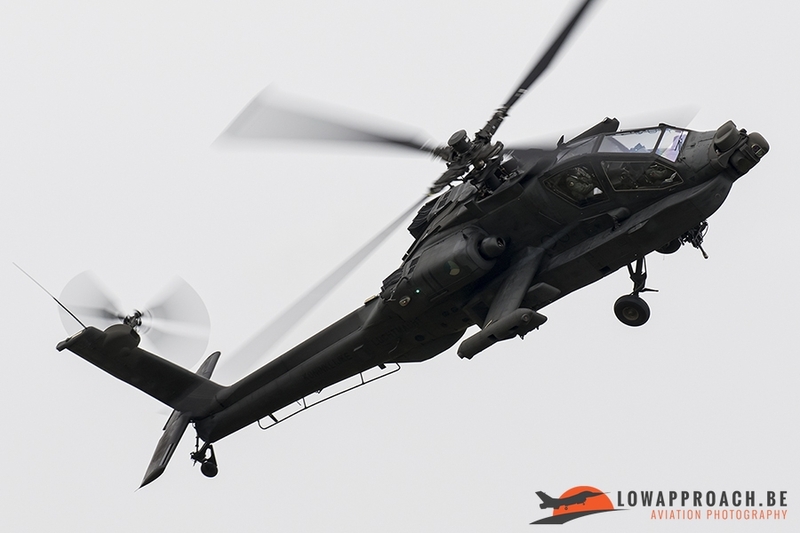 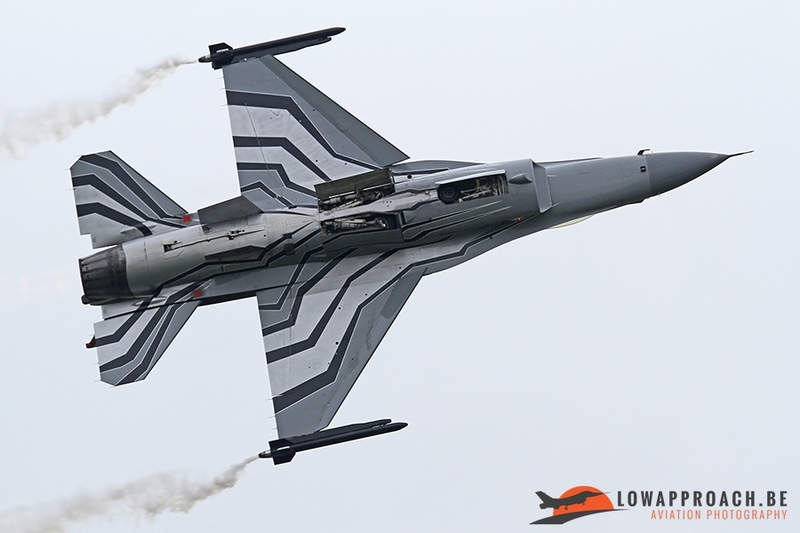 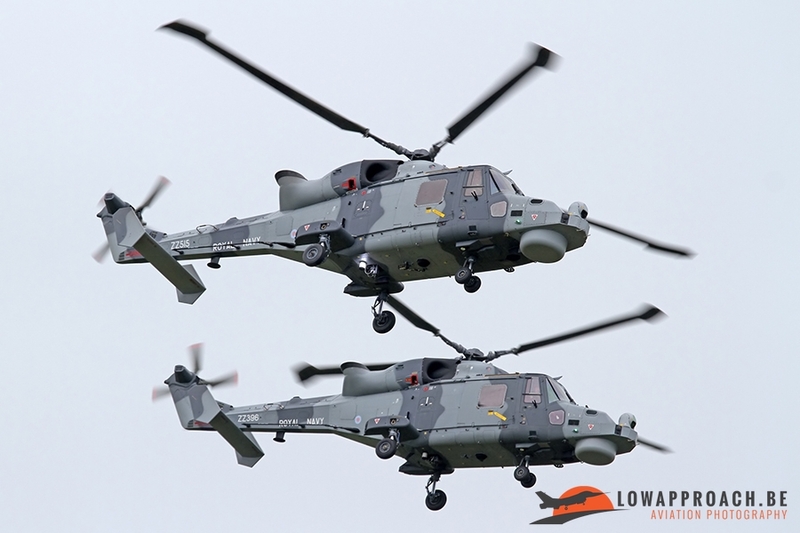 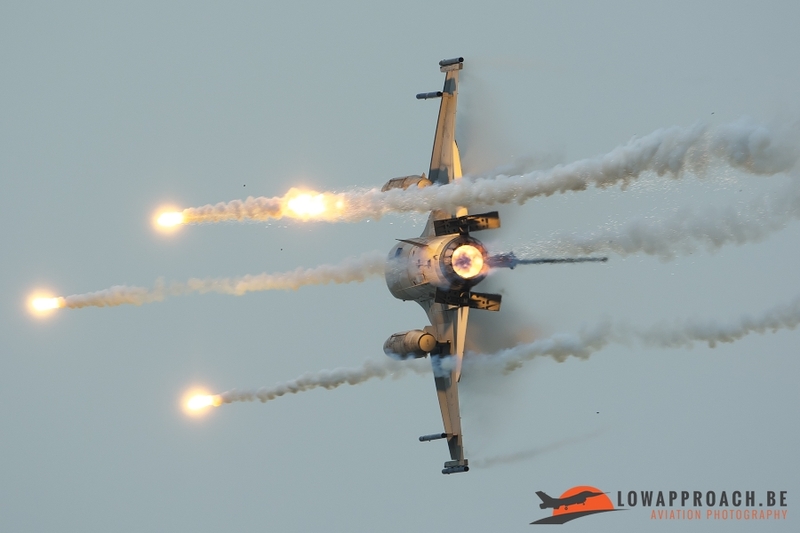 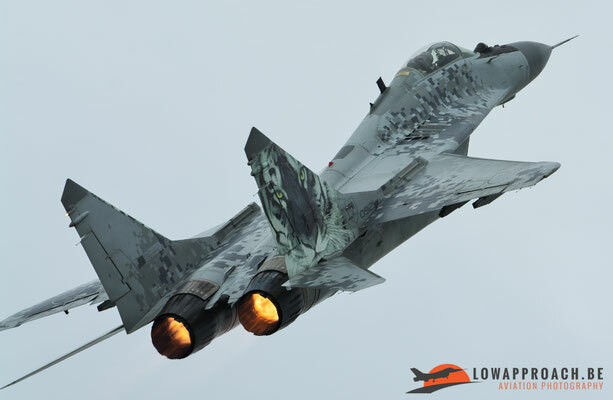 On the 10th and 11th of June the “Luchtmachtdagen/Open Dagen” or in English “Air Force Days/Open days” were held at Leeuwarden Air Base. 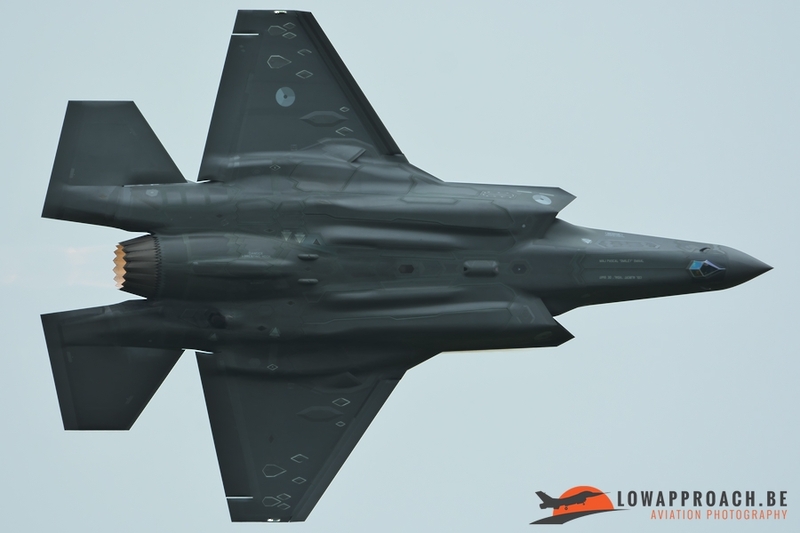 For many spotters this airshow will last in their memories because at this show the Lockheed Martin F-35A made its international debut on the airshow scene. This was also the main reason why a couple of members from Low Approach went to the show. Andy and Tim attended the show on both days and Laurent joined them on the second day. 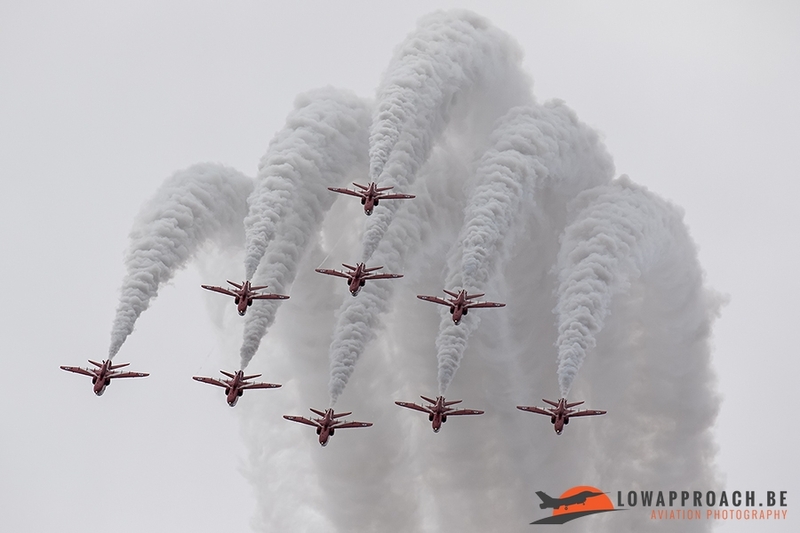 On Friday the day started with scattered clouds allowing the sun to come through from time to time. 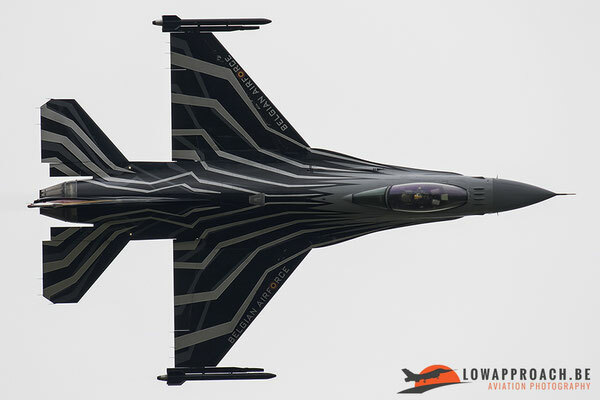 This gave some pilots the chance to fly their medium/high show. 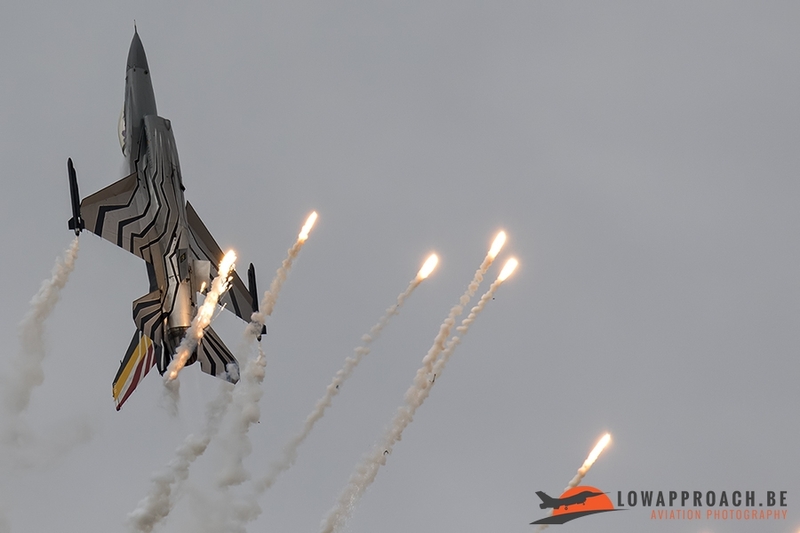 Sadly before noon the clouds took over so the displays mostly consisted out of the flat shows. 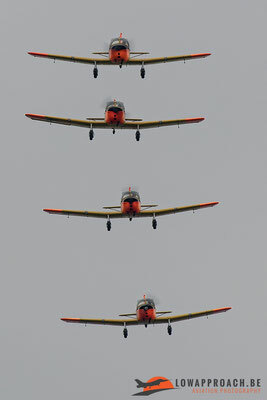 During the show on Saturday it was overcast pretty much the whole day. 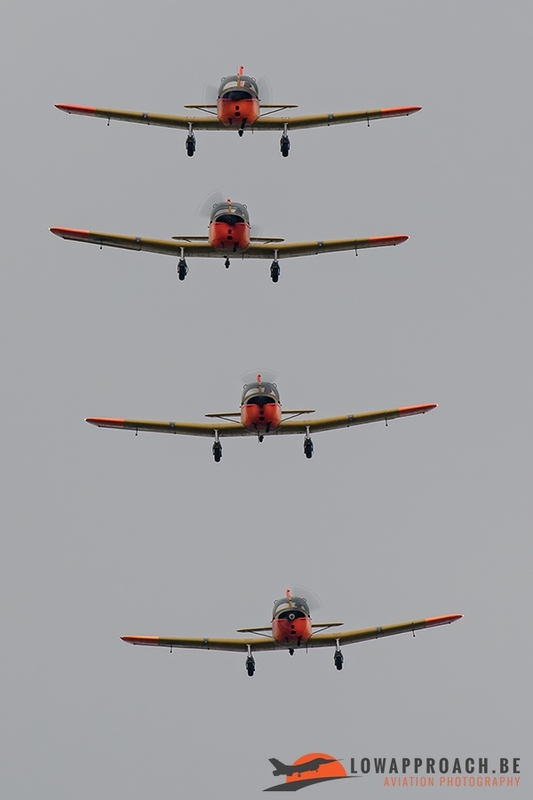 Both show days were practically the same in terms of flying displays. 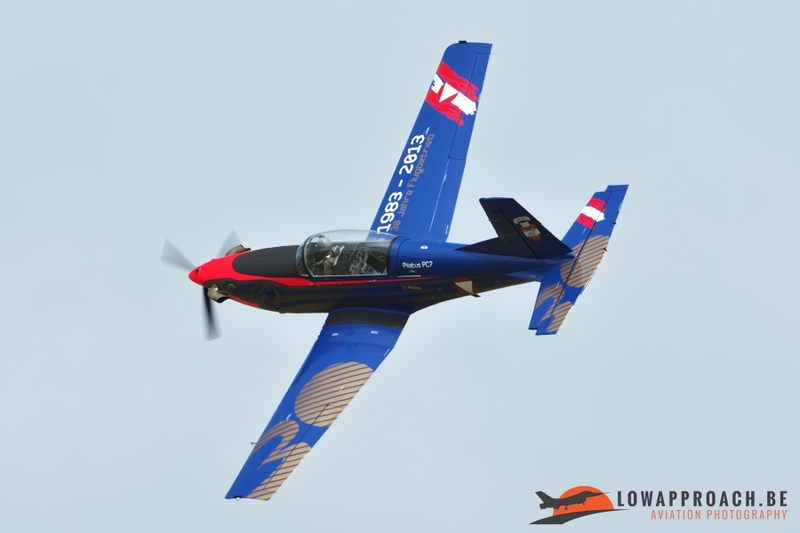 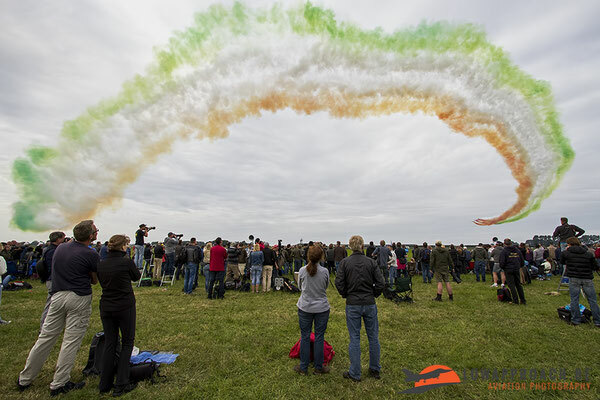 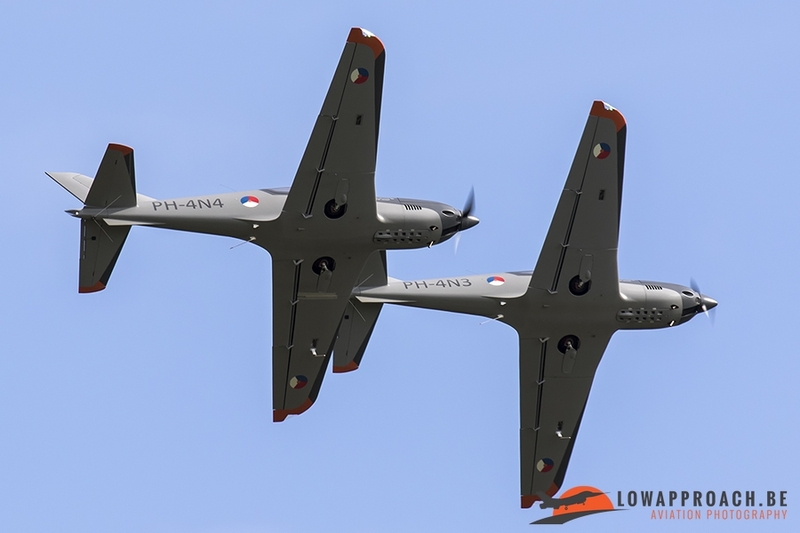 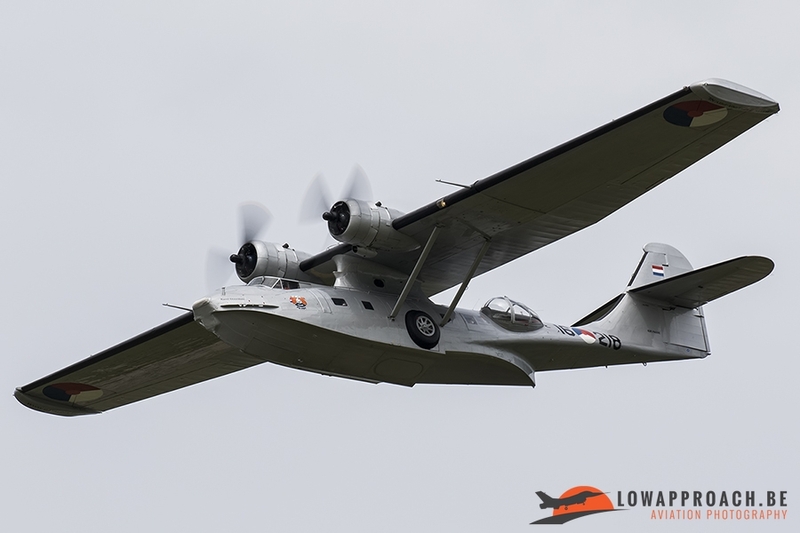 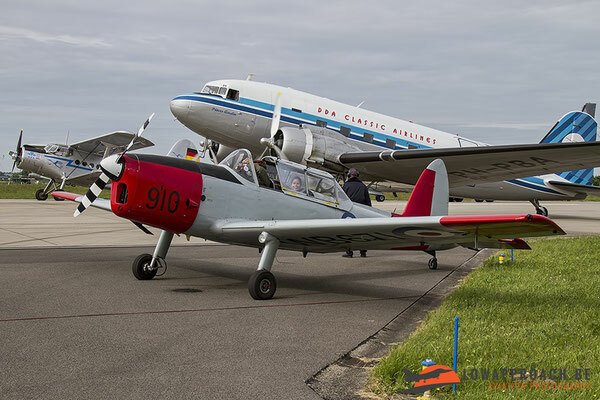 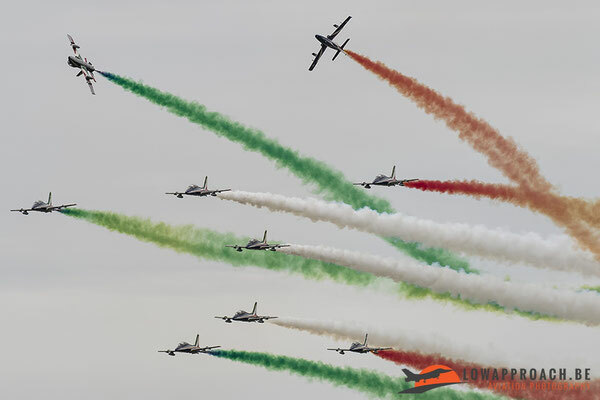 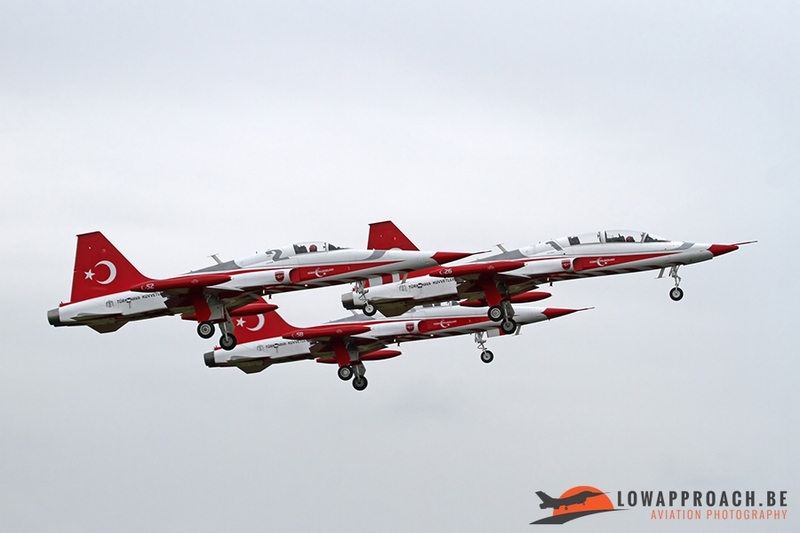 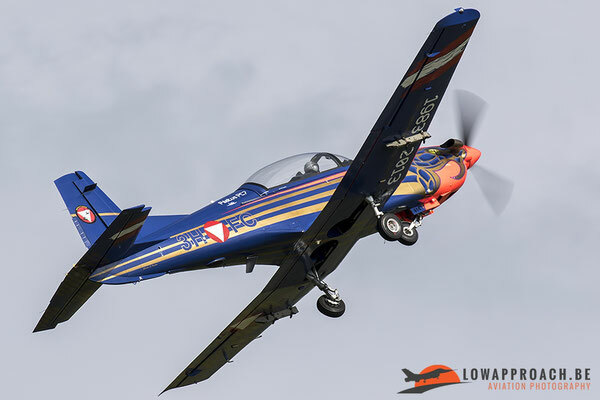 The Dutch always know how to balance the flying program so that every aviation enthusiast has something to look forward to. 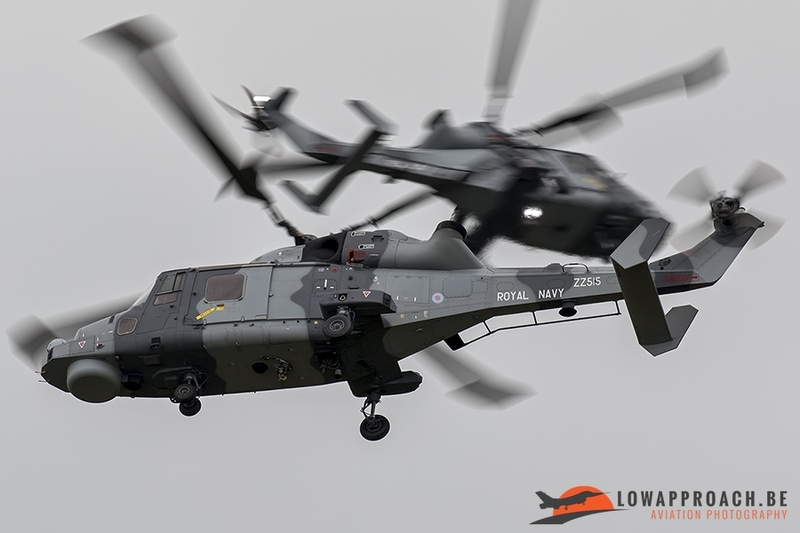 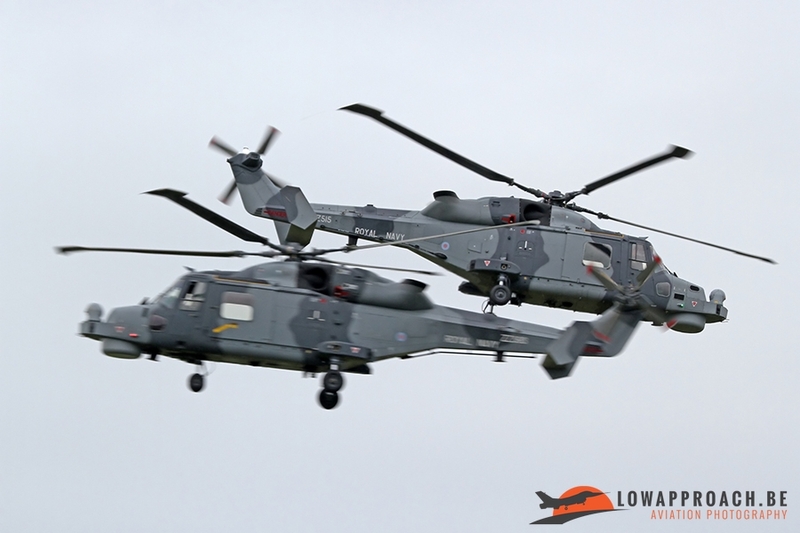 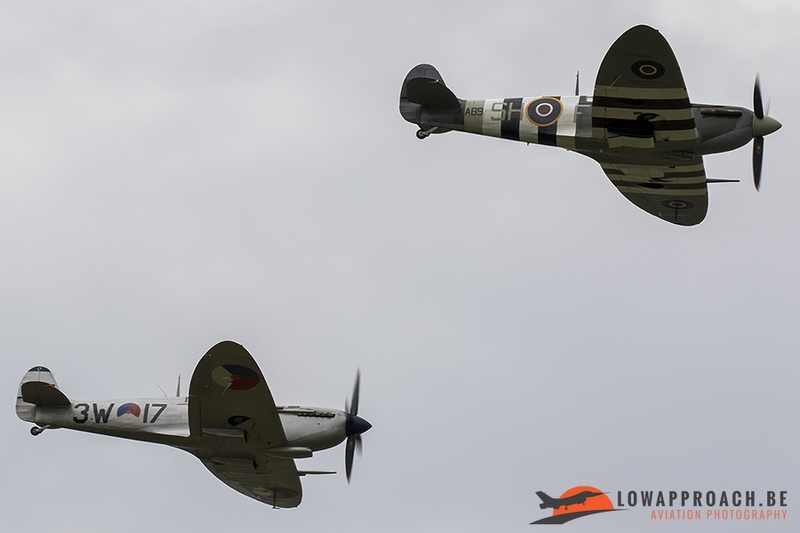 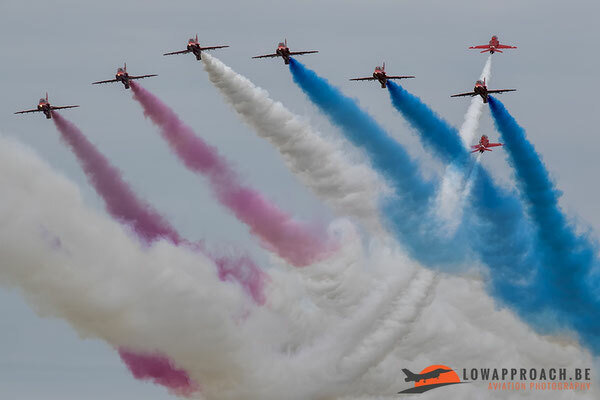 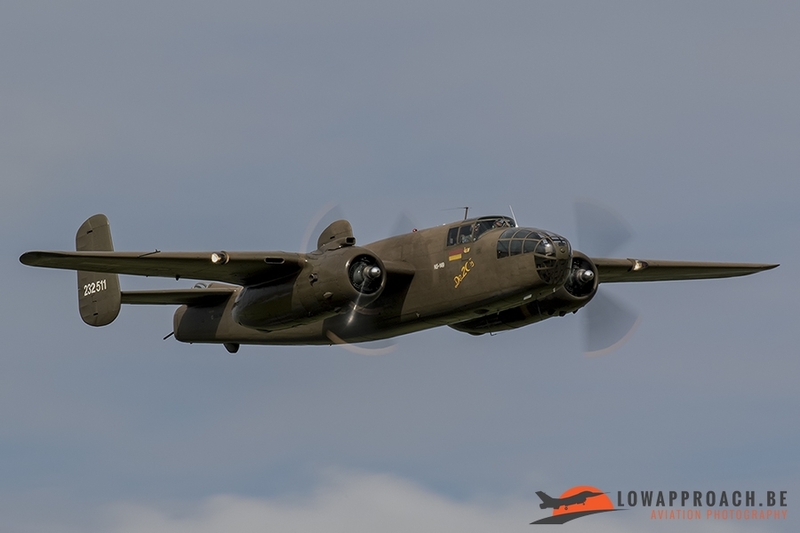 This year they also managed to present a nice mix of jets, helicopters, war birds, display teams and civilian acts to the public. But also in the static there were some really nice items present. 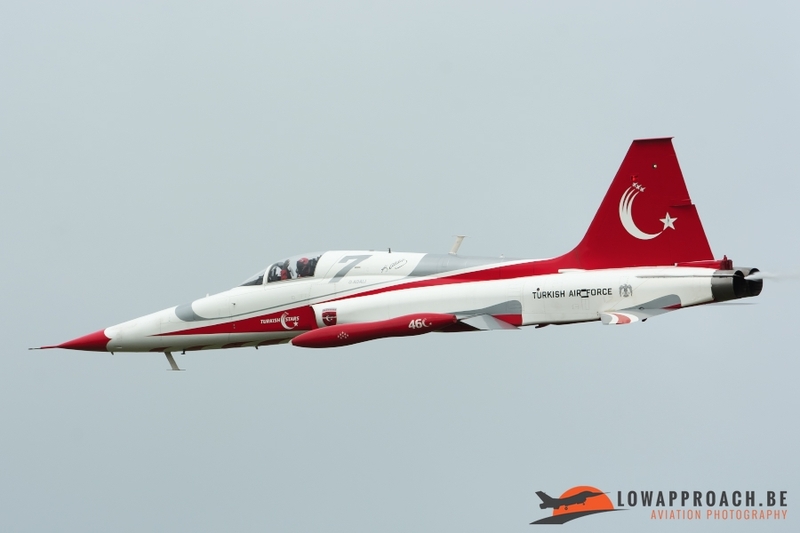 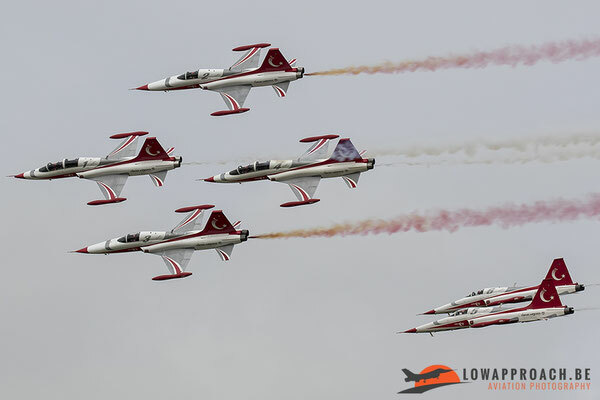 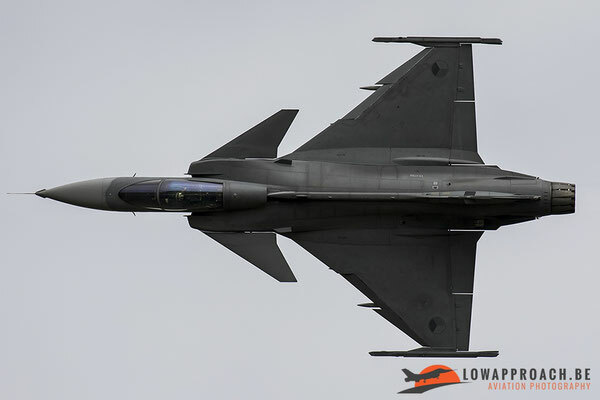 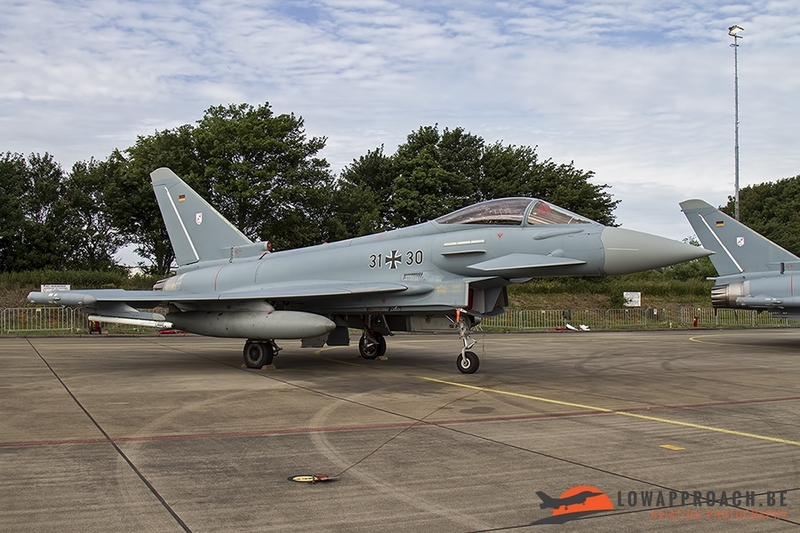 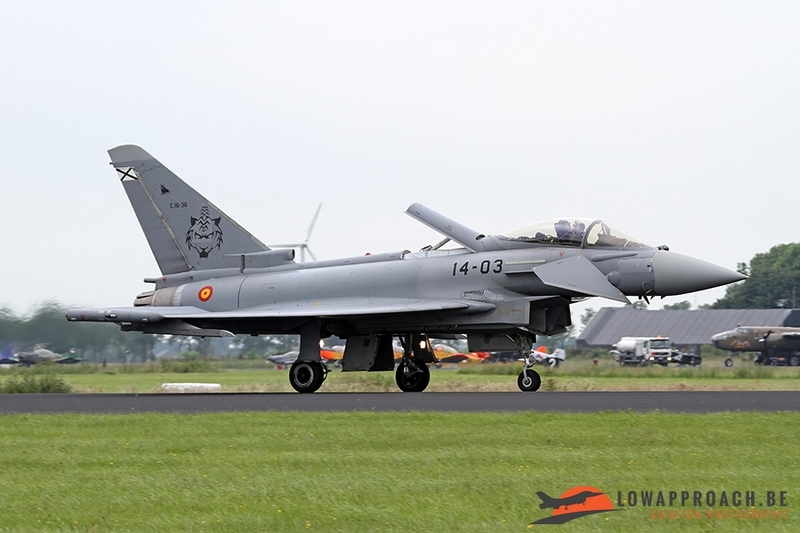 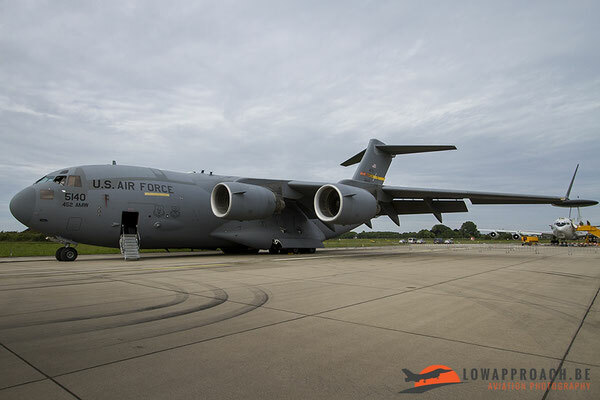 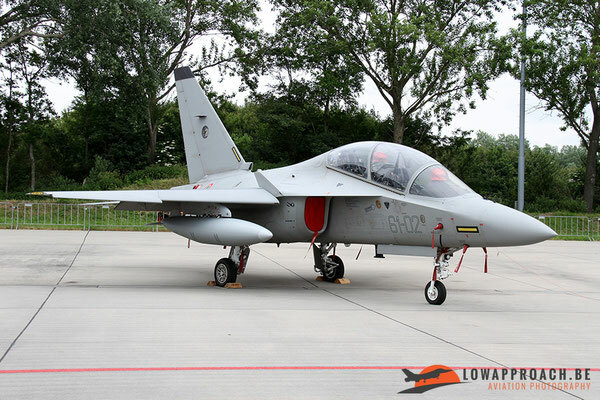 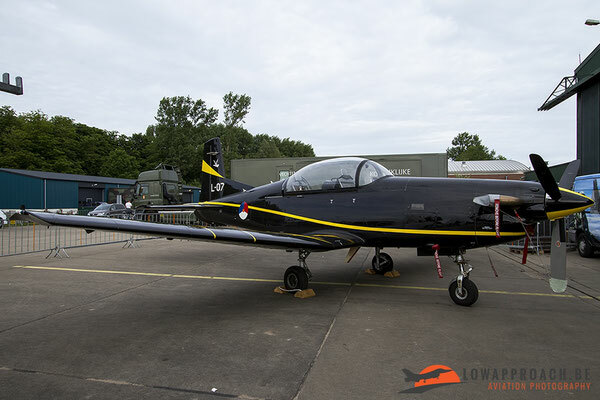 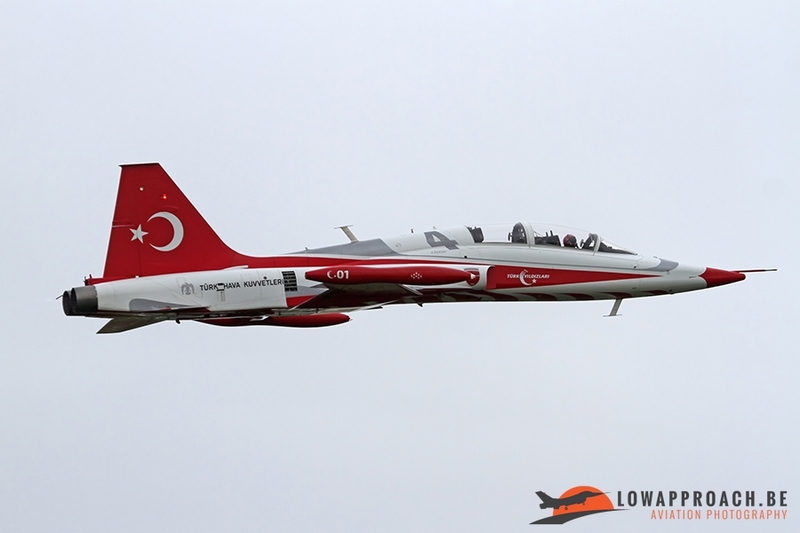 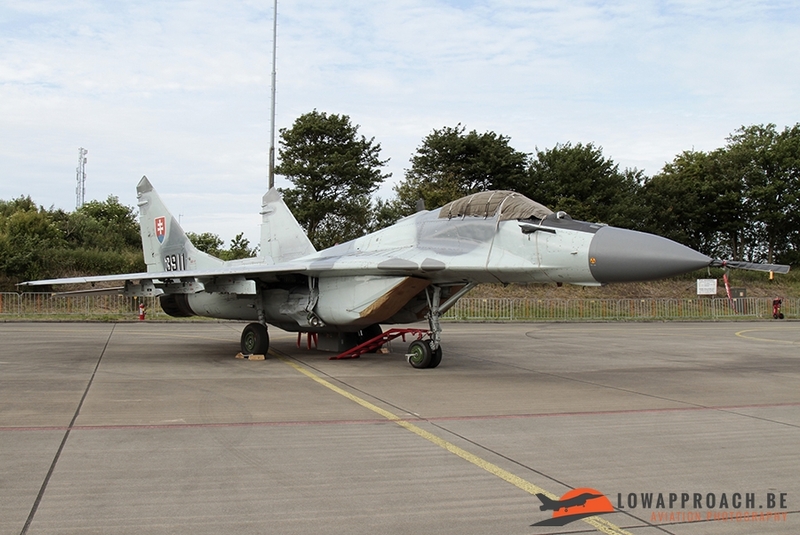 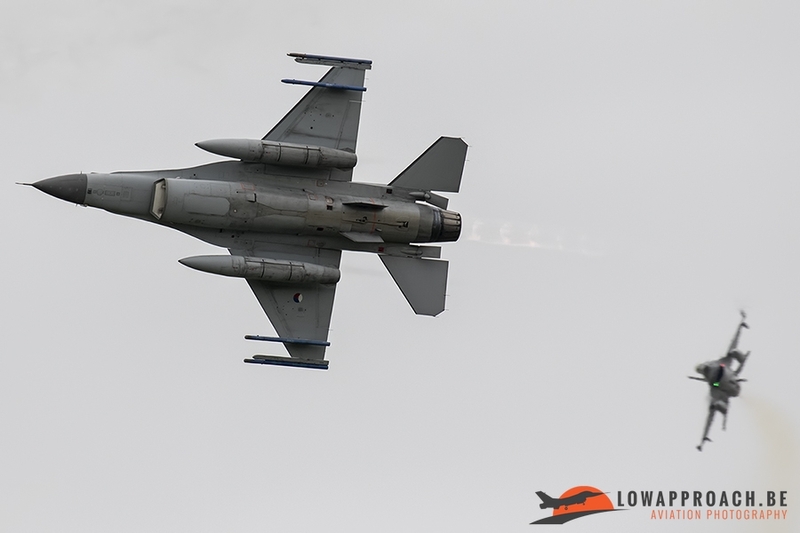 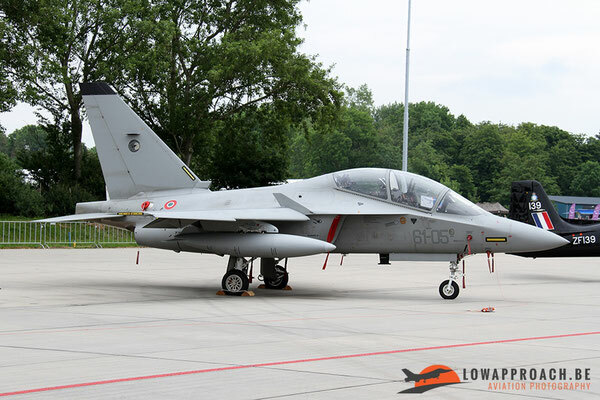 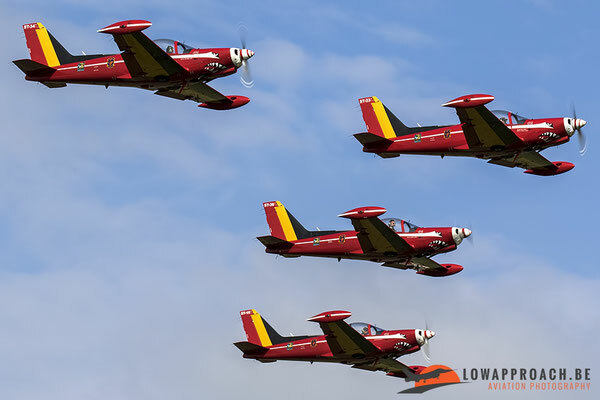 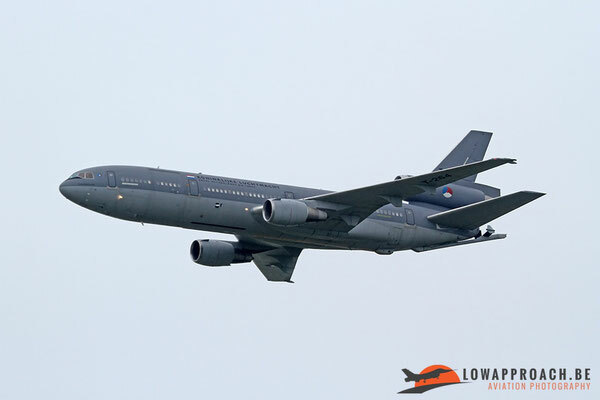 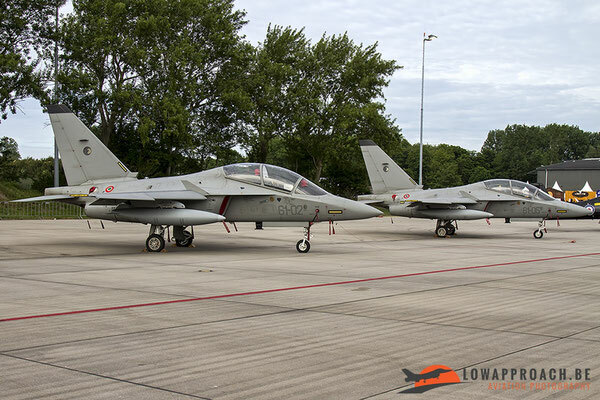 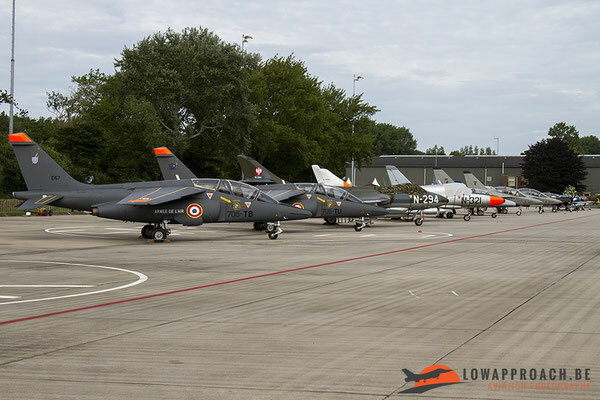 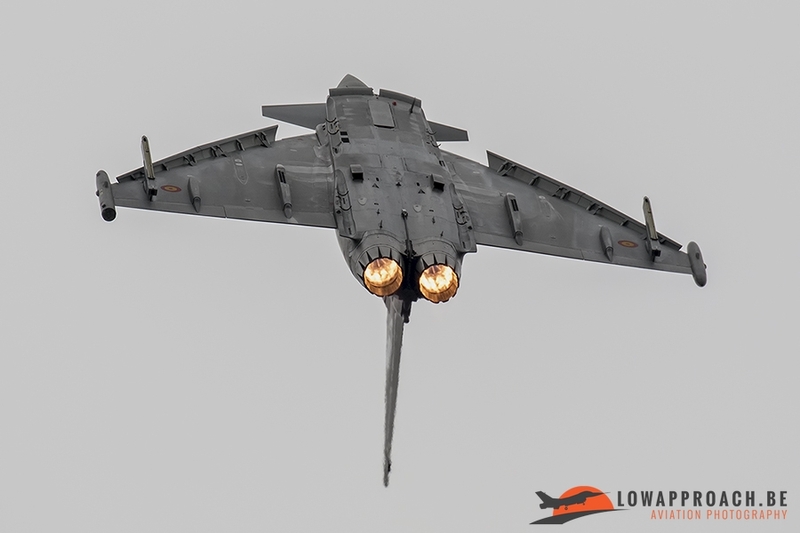 Ones that are really worth to mention are the first 2 RNlAF F-35A’s that were put on static after they participated in the flying display, an USAF C-17A, 2 Italian Air Force T-346A’s, a Slovak Air Force Mig-29AS and of course a whole lot of aircraft from the Royal Netherlands Air Force’s inventory, unfortunately some were really hard to photograph because the fences were put really close to the airframes. 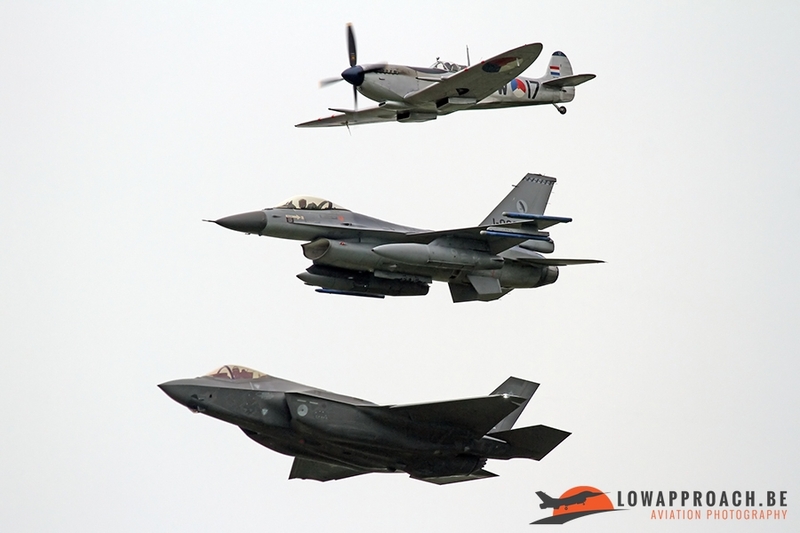 At noon on both days, one of the nicest displays was planned to take place, the always impressive Air Power Demo. 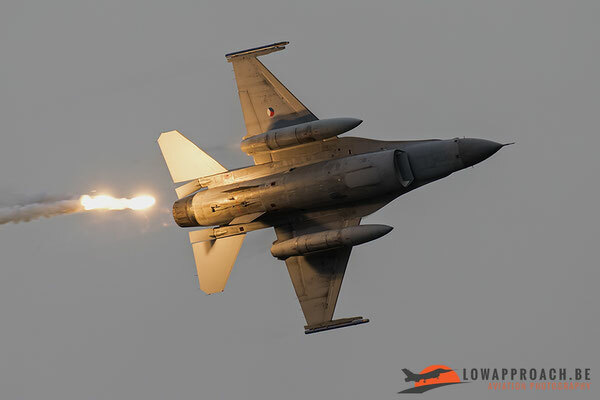 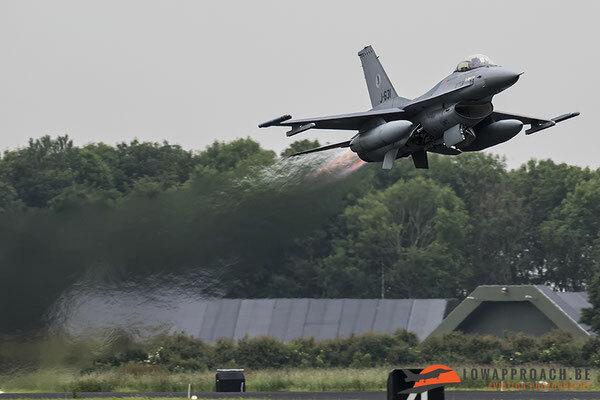 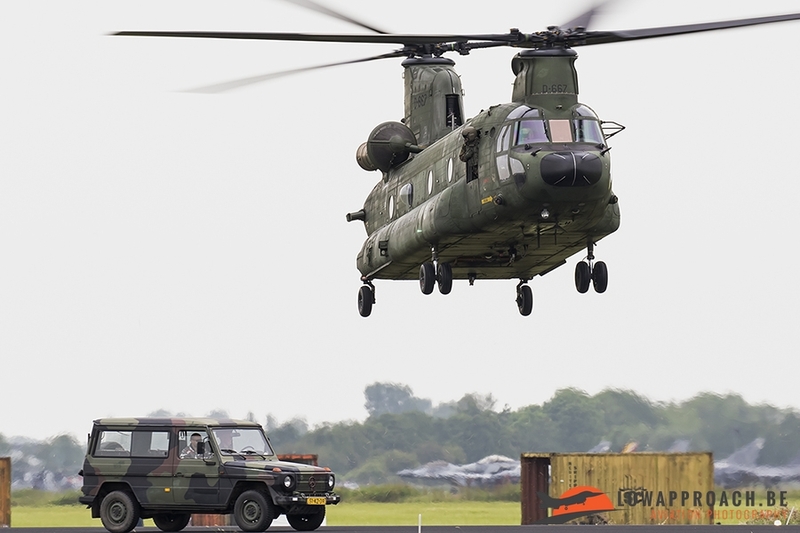 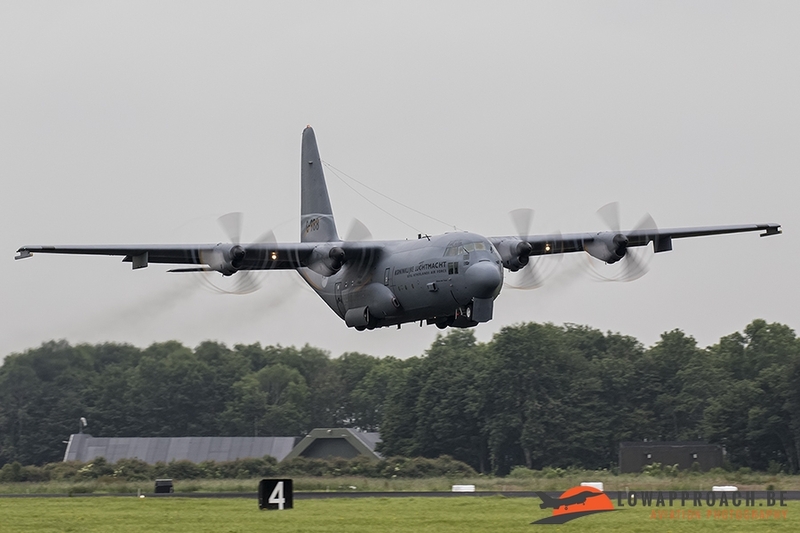 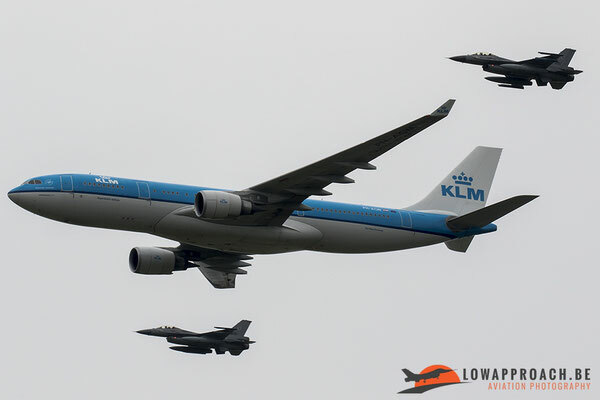 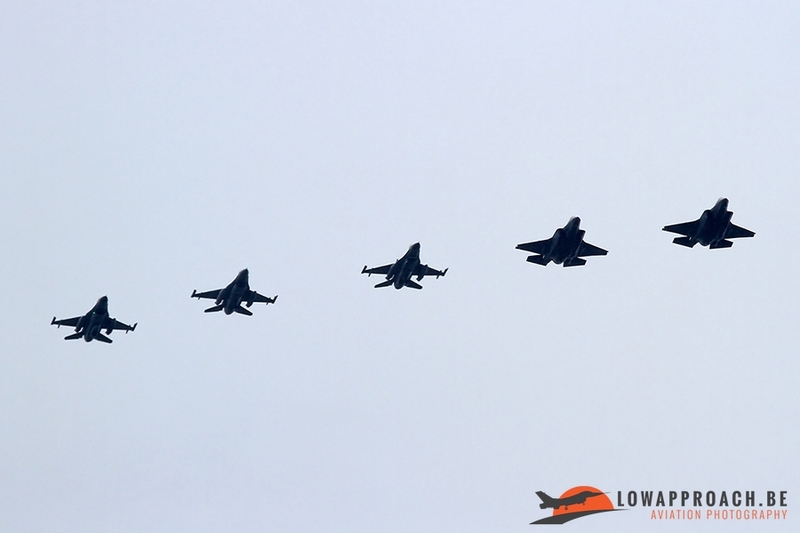 During the Air Power Demo the Royal Netherlands Air Force shows off their capabilities and close co-operations between different wings and squadrons of the Air Force. 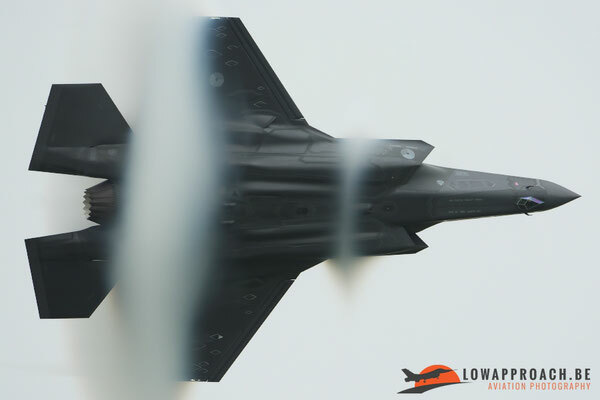 They show the spectators what their daily job is during combat operations in the world. 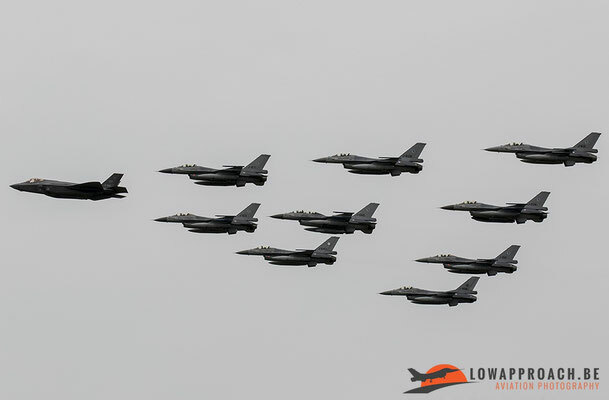 On Friday the Power Demo was cut short and had to make room for the change of command from the Chief of the air force. 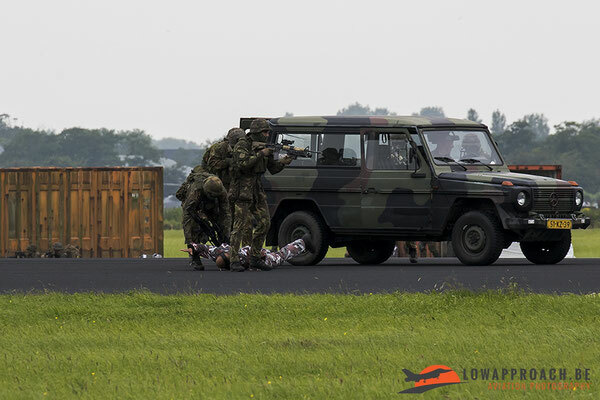 Lieutenant-General Sander Schnitger gave the command to his successor Major-General Dennis Luyt. 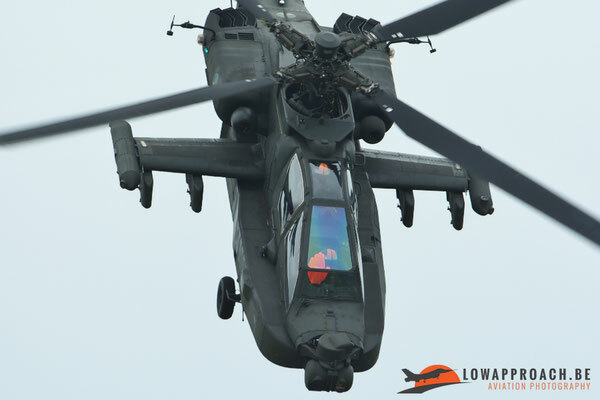 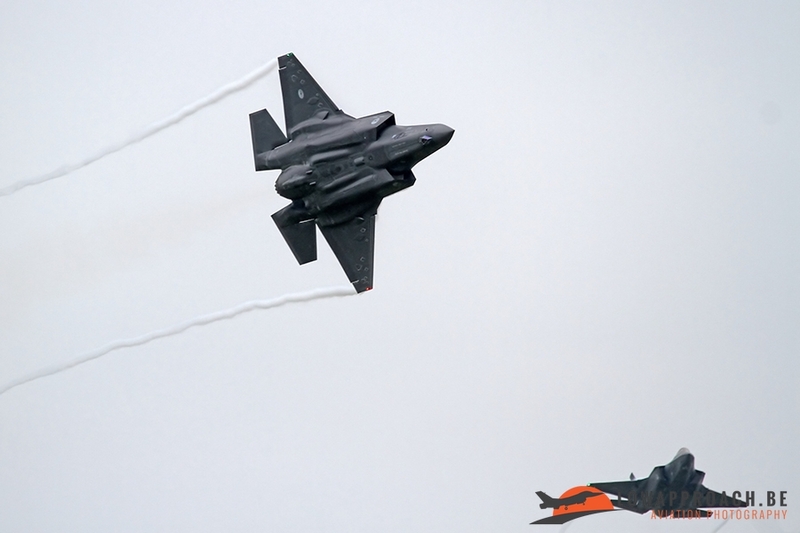 But on Saturday the whole Air Power Demo took place. 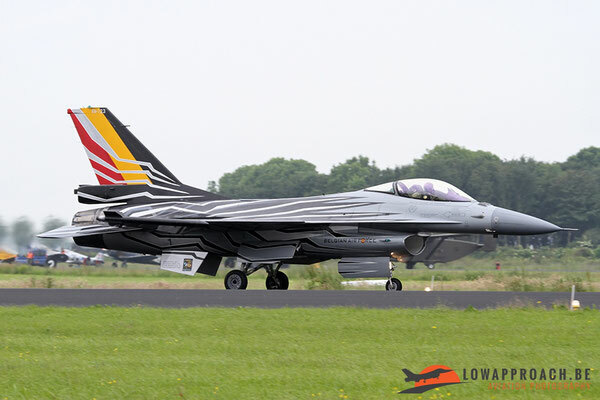 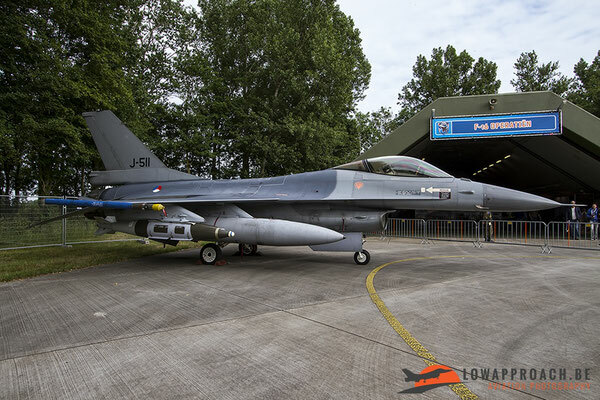 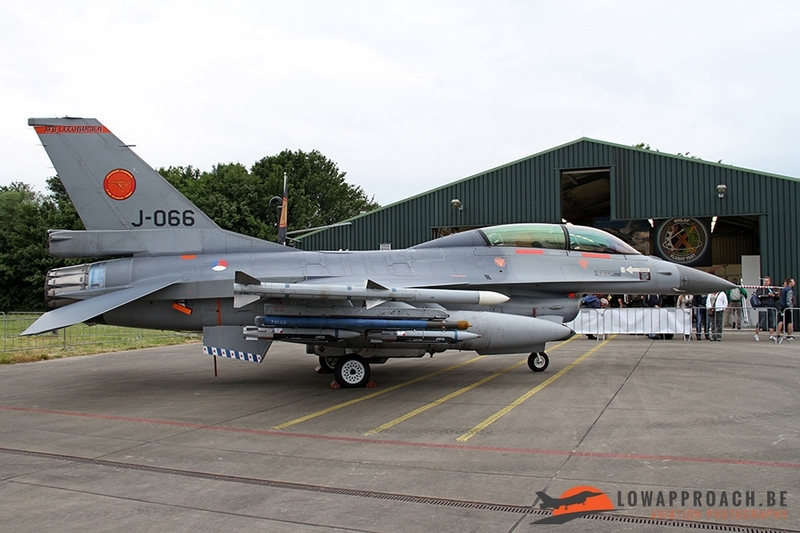 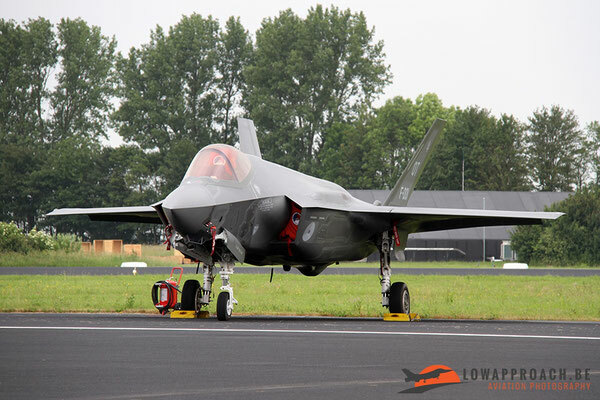 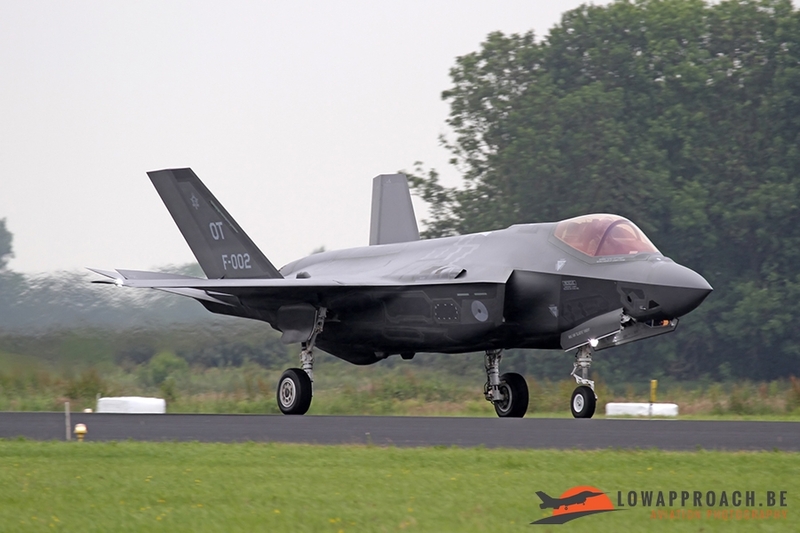 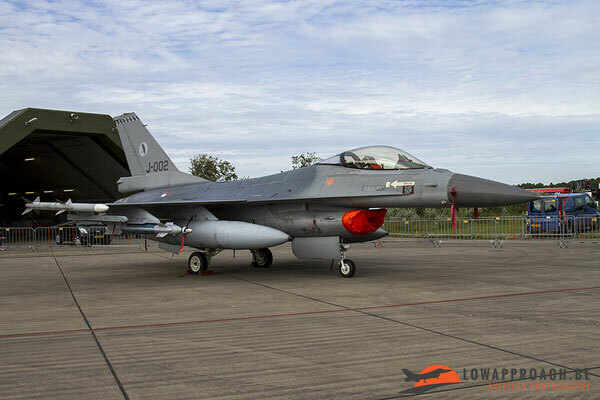 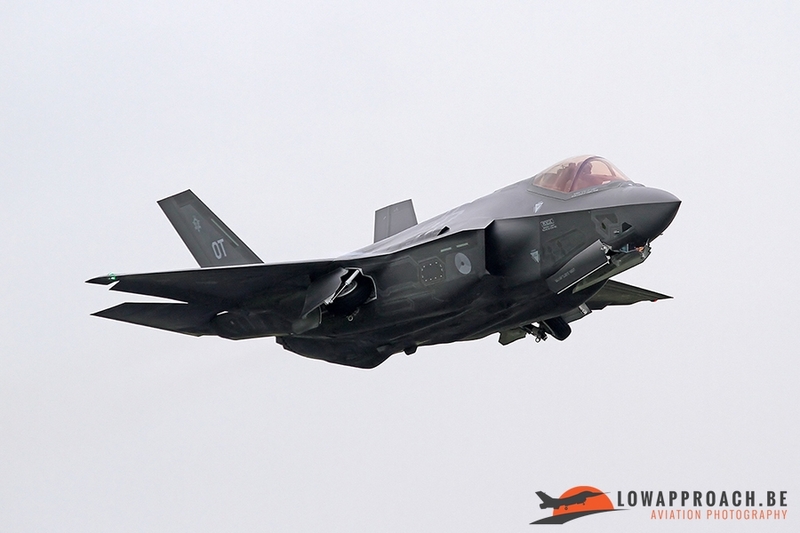 And this year the newest airframe from the RNlAF also participated in the APD, the first 2 F-35A’s. 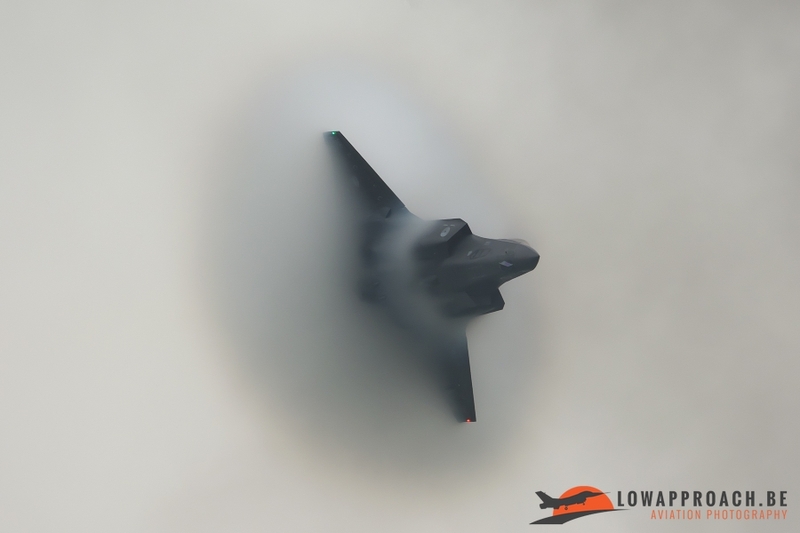 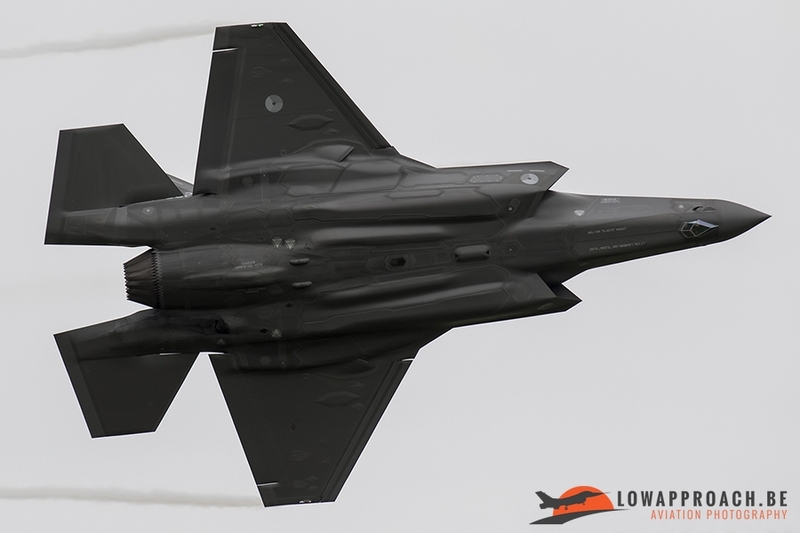 During the APD the F-35 really showed itself to the public with some really impressive, fast and low passes and thanks to the bad weather some really nice vortexes came visible during several fast passes. After the Power Demo several nice formation passes were performed with all the participating aircraft from the Power Demo. And also a nice heritage pass was flown involving the Spitfire, F-16 and F-35. 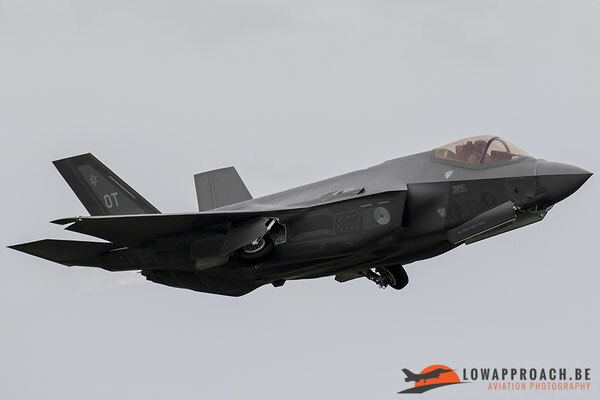 Despite the bad weather the “Luchtmachtdagen/ Open Dagen”, “Air Force Days/Open Days” at Leeuwarden provided the visitors a nice varied airshow and for most of us a nice first impression on the F-35, the Royal Netherlands Air Force newest plane.